If you’re used to thinking of fruit-flavored brandies as medicinal, you might dismiss the Cherry Fizz out of hand. Its main ingredient is two ounces of cherry brandy. But dismissing it would be a mistake. High-quality fruit brandies are delicious ingredients for wonderful cocktails. Good cherry brandy tastes like actual cherries rather than like cherry candy. It has notes of amaretto, with surprising tannins. It’s like a wine that’s been infused with cherry juice. This recipe adds a little lemon juice and some carbonated water to cut the sweetness and intense flavor of the cherry brandy. That gives it a good balance between sweet and tart. And, of course, you can change that balance if you want by adding a little more or less of either ingredient. If you like this one, check out the Americano. It features Campari, which is a bittersweet cherry liqueur, along with sweet vermouth and soda water. 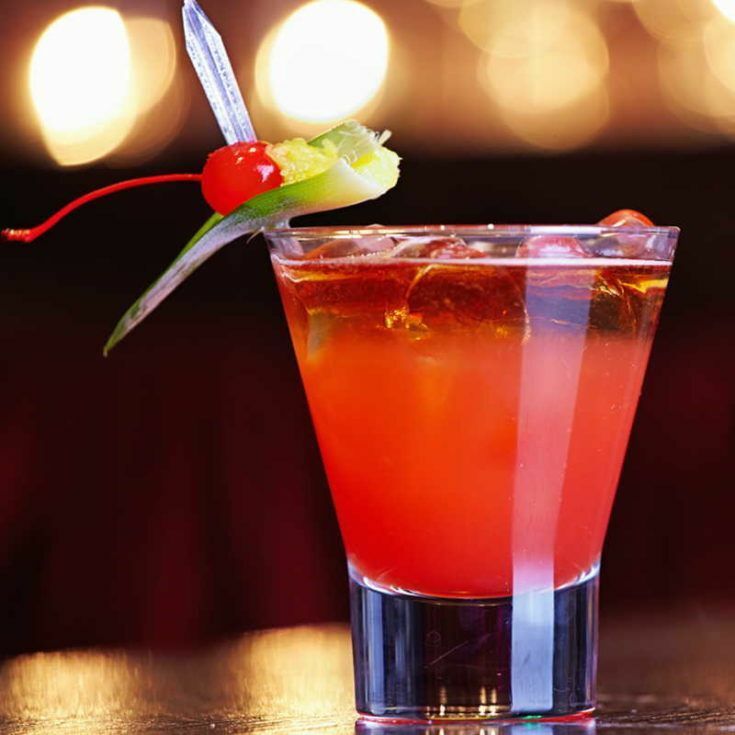 The Cherry Fizz drink recipe features cherry brandy with lemon juice and carbonated water. It's a simple, refreshing drink that hits a good balance between sweet and tart. You’re right, find the right cherry brandy and this drink is really good. I made it with Ableforth’s and it was really good.